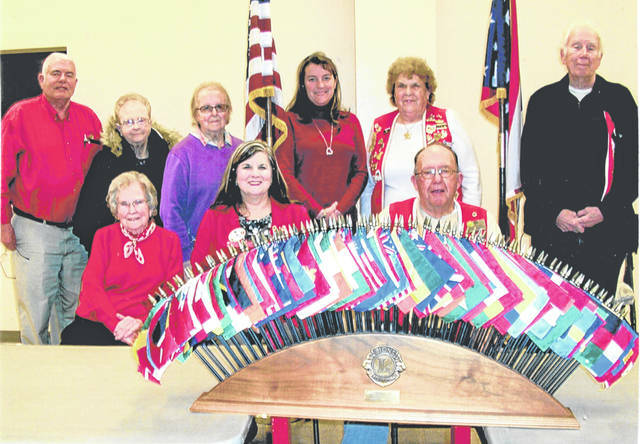 The third quarterly meeting of the Zone Seven Lions Club was held March 5 at the Lynchburg Area Joint Fire and Ambulance District Community Room. The Lynchburg Lions Club served as the host club. The evening began with a buffet dinner catered by Shoelaces Catering. Following the meal various reports from each of the clubs were presented. Several district cabinet members also gave reports. The final speaker was District Governor Lydia Houser. Jim Georges of the Wilmington Lions Club served as zone chairman. Pictured are members of the Lynchburg club that served as hosts for the meeting: (seated, l-r) Virginia Rhonemus, Houser and Georges; (back row, l-r) Jim Faust, Joyce Stroop, Maxie Green, Chris Hamlin, Janet Florence and Rob Roth.